​Grow Wellness is an alternative therapy practice that provides many modalities of massage therapy, cupping therapy, yoga, meditation and reiki healing. From our one of a kind classes to our specially designed healing sessions, our main goal is to integrate wellness into every aspect of our client's day to day life. Every image has a story. This is ours. I suppose you could say that here at Grow Wellness, we keep it in the family. It's an easy thing to do when you have a family as talented and caring as ours! Our new logo was designed in collaboration with two of our owner's sisters, as well as her nephew. We knew that we wanted something with meaning. We didn't just want some fancy design that would look good on a piece of paper. We wanted something with energy and healing; a true representation of who we are. And so it was with this in mind that the logo was designed to incorporate both the heart chakra as well as a deeply rooted tree. 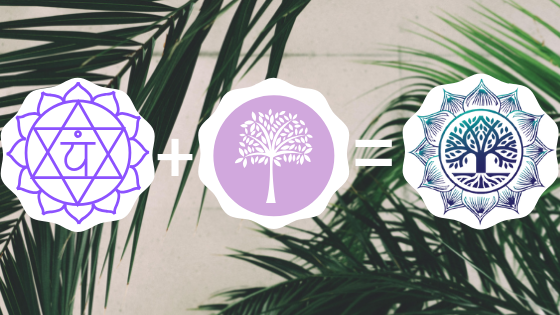 The heart chakra, or Anahata, is the center in our body for love and compassion, as well as for awareness and transformation. It is a symbol filled with both healing and love, and seemed a perfect fit for what we were trying to express through design. The tree came next, and is a representation of the importance of growing and blossoming. The idea for Grow Wellness is founded in the belief of post traumatic growth; the idea that no matter what we go through in our lives, we can give it purpose and reason. We can continue to grow despite every adversity.